Custom promotional products create a professional image for employee reward programs and customer marketing. 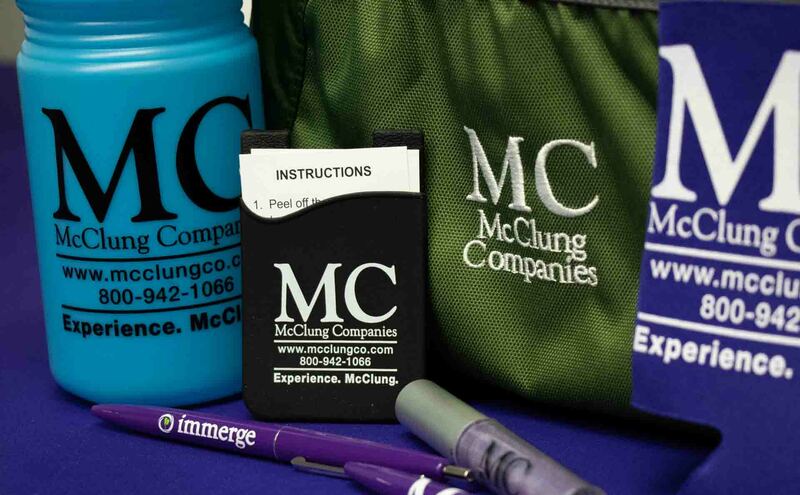 McClung Companies provides high-quality, custom promotional items to make an impact at any budget level. Our superior customer service ensures that you receive the best quality products on time. With our selection of products and abilities to print on different materials, we’ve got the ability to produce a wide variety of branded products for your company. Get in touch to find out what we can do for you. Why Choose McClung Promotional Products? Staying Power – Quality, eye catching products stay with clients and get attention. Impression Maker – The more people that see your brand the more memorable it becomes. Brand Identification – Quick identification will increase your brands longevity. Low Cost, High Value – Low cost per impression and high value due to active interaction. We have a wide variety of products for your company’s promotional needs. Search for the product you are looking for or simply browse our online catalog.